To integrate easily into the working style and equipment array of film crews and production houses, the EOS C500 with a Canon PL lens mount is completely compatible with all of Canon’s PL lenses, including compact primes. 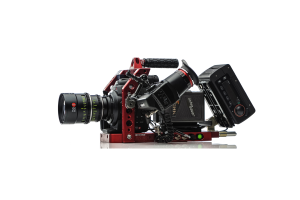 The Canon C500 Cinema EOS Camcorder Body (PL Lens Mount) represents Canon’s first foray into the world of 4K digital cinema production. 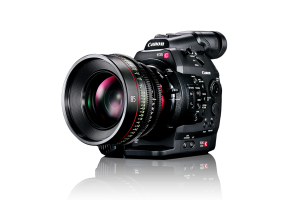 Sharing a sensor with the earlier EOS C300 camera, the Canon C500 fulfills the potential of the large (Super 35mm-size), high-resolution (8.8 Mp effective) CMOS imager by offering full 4K RAW output via 3G-SDI. The C500 also has a body type in common with the C300. 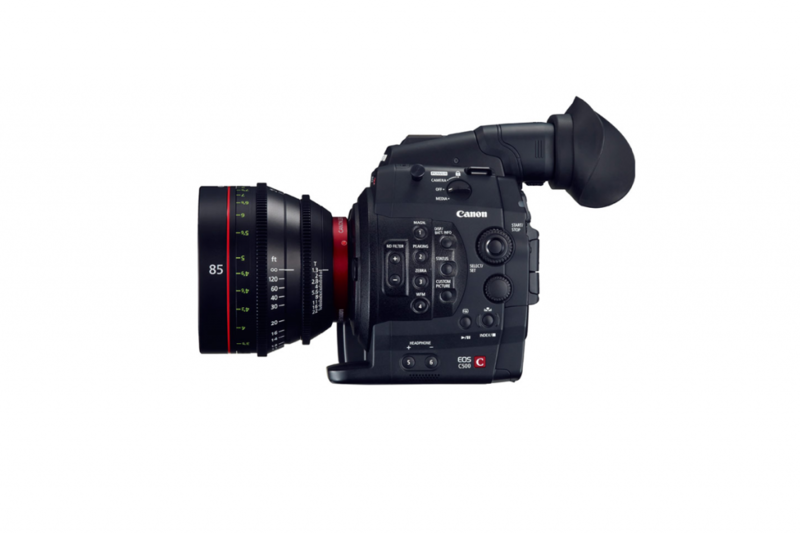 Featuring large, accessible buttons with ridges dividing them, the EOS C500 has been designed expressly for the craft of digital cinema. Its signal output is similarly appropriate: At rates up to 60 frames per second, the 10-bit 4K RAW data stream output can be recorded to an approved external device (sold separately) at full resolution. 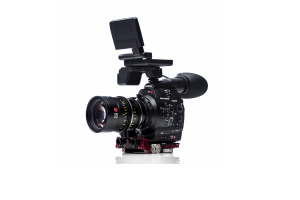 Using a format called 4K half RAW, which halves the horizontal resolution, you can capture up to 120 fps to the external recorder by using both of the C500′s 3G-SDI outputs. The Canon EOS C500 integrates with time-tested feature film production workflows. As 4K RAW data is being recorded externally, you can record proxy files at 50 Mb/s to the camera’s internal CF card so rough-cut or dailies editing can begin immediately after a scene is complete. 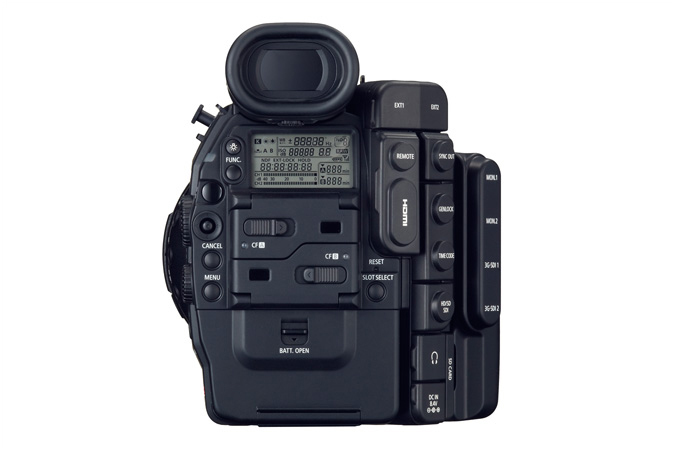 For the widest latitude for color correction in post-production, the camera offers Canon’s Log gamma mode, which results in excellent tonal reproduction in the highlight and lowlight regions of an image, and a greatly expanded dynamic range. 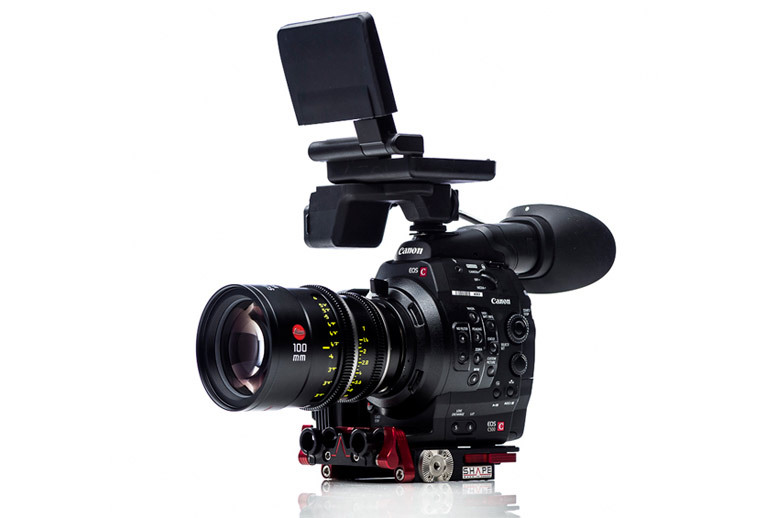 The EOS C500 features an PL mount for compatibility with the burgeoning line of EF Cinema Zoom and Prime lenses. These lenses are designed to match up perfectly with the 3-perf Super 35mm-size CMOS sensor of this camera. Like the camcorder, these lenses (sold separately) were developed specifically for digital cinema, with engraved markings on angled surfaces in meters and feet and uniform front diameters for easy lens switching without having to reconfigure a matte box or follow focus gearing.